Single-handed center control mechanism for convenient flip of the top. Minimal assembly required, installs in minutes. Tables straight-row nest for compact storage. Tables are shipped in two boxes. 6 1/8" between tables when nested. 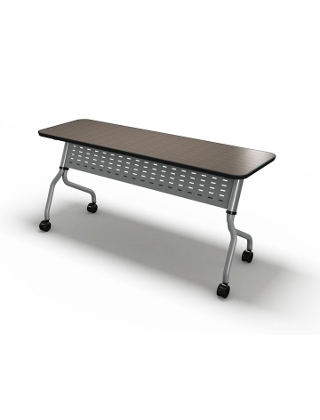 Overall table height: 29 1/2", four 3" locking casters.